When Washingtonians need a food fix, @DCFoodPorn founder Justin Schuble delivers. “One of my favorite things to do is just walk the streets of DC (or any city for that matter) and discover new places to eat,” says @dcfoodporn founder Justin Schuble. With 300,000 followers and growing, Schuble’s dietary diary of decadent dishes has become a must-follow food account. His love for good eats started young. “I have always been a foodie,” he admits. “Growing up, food was a part of so many special moments. Every Sunday night, my entire extended family would have dinner together.” He brought that love of eating to university, where momentum for his newfound life as a culinary influencer began. “I would walk around the city between classes and capture what I was eating on my iPhone.... I thought it would be a fun hobby, and never in a million years did I expect to have the following that I do today.” Schuble’s fondness for photography and feasting is now a full-time profession, which recently led him to Hong Kong. 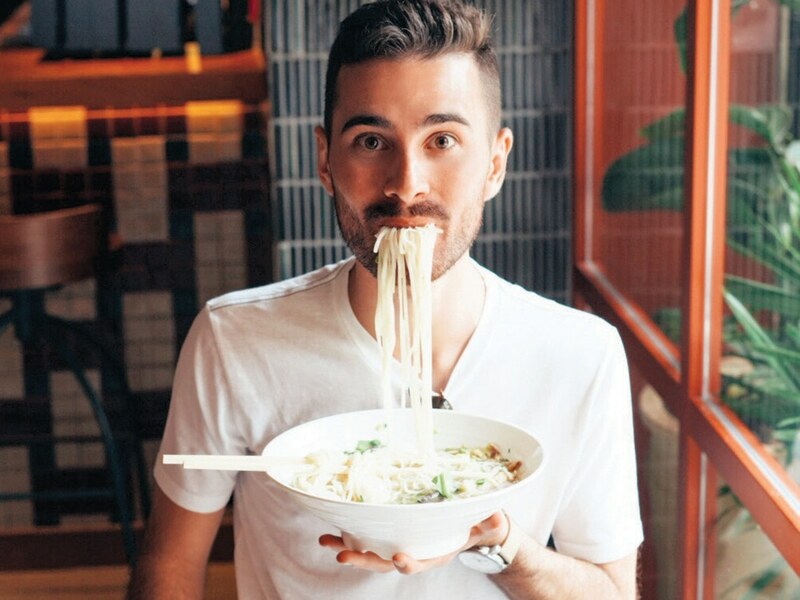 “My favorite food experience was our food tour of Sham Shui Po, where we sampled popular local dishes like rice rolls, silken tofu and fresh dumplings and noodles,” he says. So how does Schuble stay fit? “I do my best to juggle my health, getting good content and limiting food waste,” he confides, “so there are definitely some desserts and cheesy dishes that I share with others.” If he needs a chicken wing man, count us in.